A good population of frogs was found on Maud Island in the Marlborough Sounds in the 1940s. 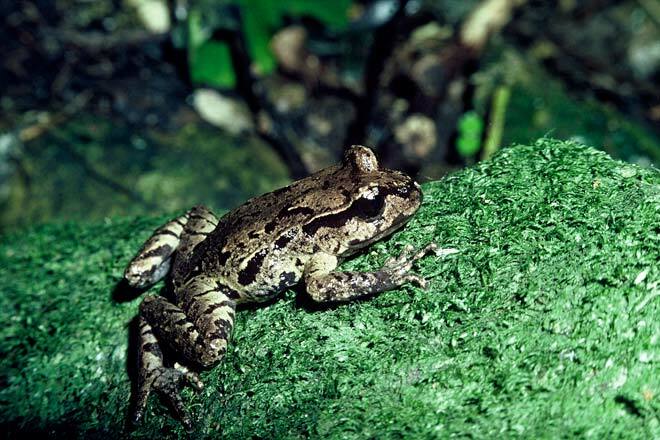 It was considered the same species as Hamilton’s frog (on nearby Stephen’s Island) until a study in 1998 found enough genetic difference to declare it a separate species. Maud Island and Hamilton’s frogs are difficult to tell apart without knowing which island they are from. Since the 1990s a few frogs of each species have been moved to new predator-free sites to establish back-up populations.